LYNN KABLE AND NAJ WIKOFF REPRESENT NATIONAL ORGANIZATION FOR ARTS AND HEALTH AT "STOMP OUT STIGMA"
AGAR'S Lynn Kable joined NOAH Board member Naj Wikoff at a mental health and addiction conference "STOMP OUT STIGMA" at the Nelson Center in Lovingston, April 12, 2018, speaking about arts and health. National Organization for Arts and Health (theNOAH.com) is an organization that serves community healthcare organizations, hospitals, artists, arts therapists, arts councils, architects and designers working in the general field of Arts and Health. Mr. Wikoff was a keynote speaker who spoke about his work with arts and wounded warriors, first responders and veterans. Lynn Kable spoke about two projects AGAR had done with elders living with dementia at Fairmont Crossing Rehabilitation Center. The first provided concerts after dinner and before bedtime; evaluation showed residents had fewer behavioral incidents and "rang bells" for attention less often on concert nights. The second provided a quilting activity aimed at bringing residents together in an art activity with caregiving relatives, staff and volunteers. Mrs. Kable also spoke about two projects she had worked with in New York. One was a Hospital Audiences, Inc. health education project in which a psychiatrist conducted needs assessments and then wrote scenarios relating to unhealthy and healthy behaviors. Facilitators gave a short lecture with healthy behavior information. Trained actors used the scenarios to interact with students in schools, residents of shelters, and patients in mental health programs. The people attending the program were asked to give healthy advice to the actor. The actors were introduced as actors playing a role, and their bad habits were described. The audience volunteers played friends, mothers, spouses of the character. Finally, Mrs Kable showed excerpts from Demeter's Daughter, directed by Tamar Rogoff, in which the story of the Greek Goddess of growing plants and crops, Demeter, her daughter Persephone, and the ruler of the underworld, Hades was re-told in community gardens, store rooftops, abandoned schoolyards and community center steps on 9th Street and Avenue C. Dancers, musicians, and actors in the program ranged from well-known professionals, to performing arts majors at New York University, storytelling elders, teens from a dropout-prevention program and children from a headstart pre-school group. Also on the "Stomp Out Stigma" program speaking about community arts were representatives of Academy Center for the Arts Community Arts Program. 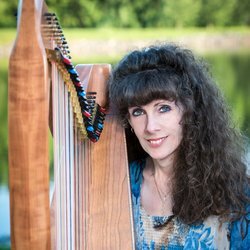 AGAR partners with St. Pauls Episcopal Church Lynchburg and Harpist and Vocalist Susan Carol to bring a monthly half-day of music to CENTRA / Fairmont Crossing Amherst, VA. She sings performs on neighborhoods and at bedsides of seriously ill individuals. While visiting Washington, DC, Lynchburg, and Amherst, Ms. Shizuka Morishita was able to give a talk at hospitals about and show the work she has been developing through Tanpopo in Japan. Tanpopo works with people with disabilities, primarily people with intellectual disabilities. In the Northeastern part of Japan where the tsunami and nuclear disaster took place, Ms. Morishita said there was then little work for people with intellectual disabilities, who had previously been employed by the seaweed and farming industries. Tanpopo created sheltered workshops in art and design. Participants in the workshop designed socks and scarves. The designs were “adopted” and sewn by the popular upscale store, Takashimaya, where they were sold to benefit their designers under the brand name “Able Art.” This arrangement pleased everyone, because people in Japan are happy to be able to help those living in the affected areas of Japan, according to Ms. Morishita. Tanpopo has collaborated on several exchange programs on caring for caregivers and gardens in healthcare. On this visit, translation assistance was provided by Rumiko Radile of Madison Heights, who also recruited assistance in Washington for the visit. Musicians were found through the local symphony orchestra, local choruses and church choirs, through the Sweet Briar College Community, the James River Blue Grass Association, and by recommendation from other AGAR musicians and the project director. There were also fewer "incident reports" on evenings of concerts by concert attenders. In 2006-2007 artist Nancy McDearmon, a painter, printmaker and art teacher, conducted AGAR’s “Fabric Memories” Project at Fairmont Crossing Rehabilitation Center. This was a project designed for family caregivers, staff and volunteers to be able to work side by side with residents. Nancy asked families to bring in family fabrics that brought back memories, as well as family photos. Photos were scanned onto fabric, and quilt patches were assembled from the fabric to surround each photo. Nancy McDearmon brought her Mother, and Mother-in-law Louise McDearmon to help on the project as her assistants. Lynn Kable interviewed the quilters (on video) as they worked. The final quilts and video stories were exhibited at the Amherst County Museum and at Fairmont Crossing for the Rehabilitation Center’s Fifth Anniversary.